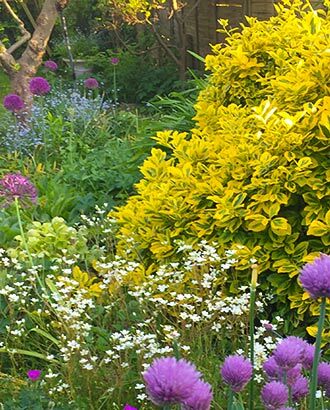 Welcome to Amanda Fuller Garden Design, a design practice based in Cambridge, UK. We offer bespoke garden design and garden consultation services. A garden can be many things; a playground, a retreat, an artist’s showpiece or a chef’s store cupboard. What suits one person will be anathema to another. By systematically understanding a client’s requirements, each garden we design is uniquely tailored to inspire and delight its owner. Your new garden will be designed to function effectively. Practicality forms the framework on which beauty is hung. Like houses, gardens function best if they incorporate utility space and design in accessibility right from the start. A holistic consideration of form and function allows us to make gardens both beautiful and practical. Designing in environmental sustainability will enhance your enjoyment of your garden. Incorporation of rainwater butts and low energy LED lights will cut down your utility bills. Plants selected to suit their planting site, are most likely to thrive and will require least intervention from you. The addition of a range of plants will benefit wildlife as well as adding to the aesthetic appeal of your garden.